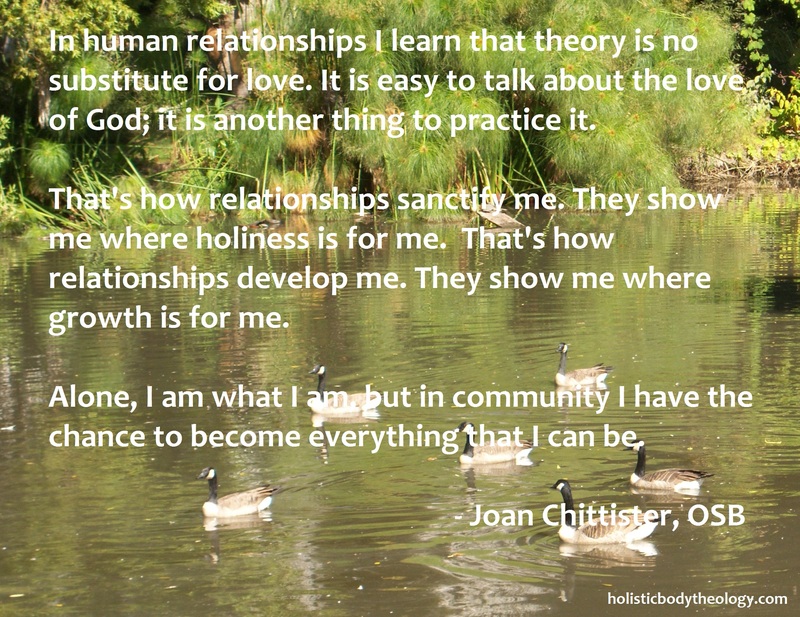 Posted on June 3, 2013, in Body of CHRIST, Community, Identity, Spirituality and tagged Community, Joan Chittister, Personal development, Spirituality, Wisdom Distilled from the Daily. Bookmark the permalink. Leave a comment.